The plotline of this book is unique. 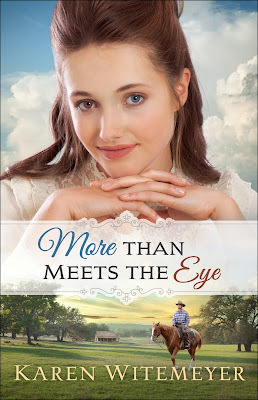 It's the first in the new Patchwork Family series, about a makeshift family of orphans who were supposed to be adopted from the Orphan Train, but weren't. Out of these "undesirables", a family of sorts is formed. I'm always intrigued by stories of families who deliberately chose each other. For example, one of my favorite suspense series is the O'Malley series by Dee Henderson. There's something special about knowing these folks are committed to each other without having to be. Reading the first few chapters to hear how that came about wasn't easy; these kids went through way too much in their early years. That beginning paved the way nicely for the character backgrounds and why each one acts as they do later in the story in order to preserve that commitment they have made. This was one of the best set-ups I have seen, so much so that I didn’t mind the large leap forward in years to the present story one bit, and that often throws me off in stories. Another unique factor that I enjoyed was the representation of disability and chronic illness. The main female character, Evangeline, has eyes that are two different colors, which is treated by those around her as a major issue. There is also a side character who is deaf and another who has chronic asthma, and both of those conditions play into the storyline in a relevant and interesting way. I was not able to lay aside this book at all! I loved the mystery angle with an attempted murder to solve, which added a nice tension. I have a soft spot for mystery, but I generally read Witemeyer's books for humor and a sweet romance, so it was fun to have a bit more mystery than usual and to have it so well done that I kept guessing for a good many pages. Romance: Clean, with lots of kissing. I'd recommend it for ages 16+ because of the amount of kissing! That's something I like in moderation, but this got a bit too smoochy for me in places. Otherwise, what a great couple! Logan and Evie really made me believe in them as a couple together despite the issues in their way. Faith: There's a clear Christian message, mostly about forgiveness and acceptance. 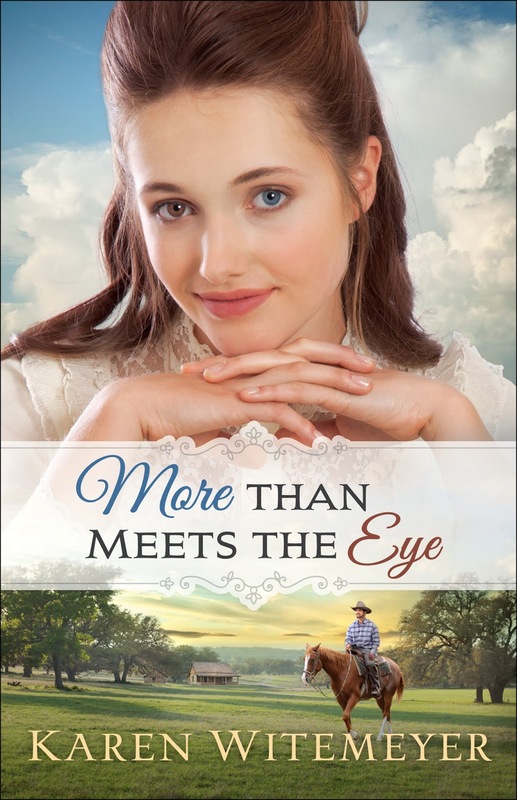 Overall, More Than Meets the Eye is a solid, enjoyable romantic story with humor and a dash of mystery, featuring flawed and lovable characters in historic Texas hill country. Book 2, Zach's story, is expected to release summer 2019. Will I be reading it? You bet! Purchase More Than Meets the Eye on Amazon.